The past year has been more than a wake up call for women across America. It has been a forced rebirth. Shortly after the election of 2016 shocked us all, one unexpected event heralded the death of the woman I used to be. The woman who remained of the good Generation X girl who thought that if she excelled at and played by the rules she would be recognized and rewarded with a seat at the table was permanently broken. That girl had been dying a slow and painful death for about a decade. She had been poisoned as accepted truths about women’s progress toward equality slowly revealed themselves as the fairy tale beliefs of idealistic children safely sheltered in suburban myths from the real life boogeymen and monsters in their midst. That girl was a worn out mess who needed to go. The way she went, however, was still a shock to my system. The specifics of what happened were strangely parallel to what was happening at the same time in the presidential election and across the nation I thought I knew. I was humored with insulting compliments and expected to be grateful. Unlike what was happening on the national stage, the chosen one in my case was actually disqualified and his offer revoked within days of the decision when it turned out he did not meet even the minimum advertised criteria of having a college degree. Experiencing it personally at the same time all American women were experiencing it existentially put it all in context for me quickly. I gave my notice. My last day fell on January 20, 2017. 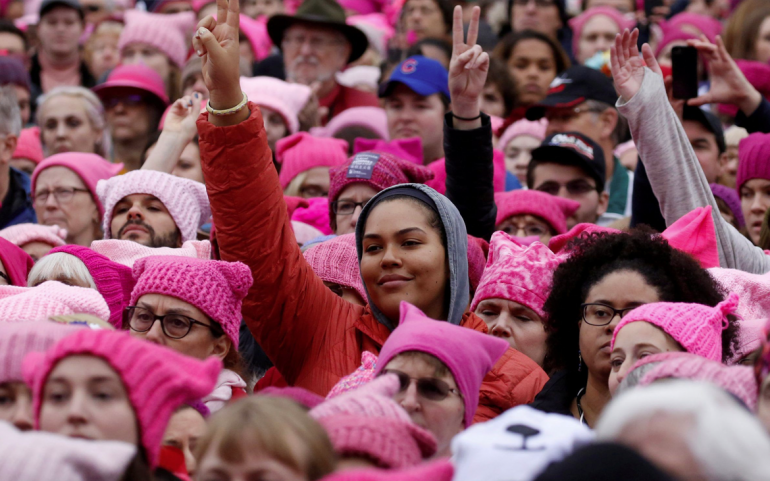 The next day I marched alongside thousands of appalled citizens in one of the satellites of the biggest protest march in history: The Women’s March. 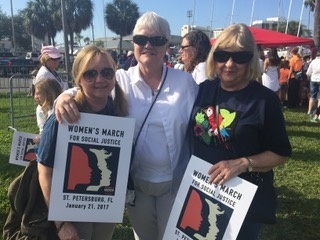 Schaefer at The Women’s March in St. Petersburg, Florida, on Jan. 21, 2017, with her mother and godmother. That girl I’d been before stayed on extreme life support in something of a coma through the first quarter of 2017. Then, having exhausted every option, I finally pulled the plug and let her pass into memory along with my understanding of my place as a woman in America. At the moment of her demise, someone new was born to take her place. 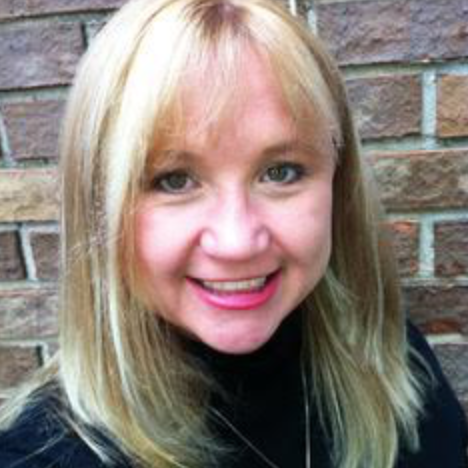 My own moment coincided with the Baby Boom of Self Rebirth experienced by women across the United States. A period of confusion and discomfort followed. Like departing the womb, a great mourning for the life previously understood as an uncomfortable but known reality accompanied the terror of facing the void of the unknown. I had to psychologically separate from the woman I had been before in much the same way each newborn learns to identify as separate from her mother. In keeping with the birth analogy, I was first occupied largely with the simple acts of living while figuring out who I was and where my place was in the world. Along with so many progressive women, I fought off bouts of depression. We relearned how to function in new reality where women could no longer pretend that our compatriots all saw us as equals. Born of bitter, angry mothers who offered only mother’s strength to carry on through Hell, many of us had to learn to see clearly for the first time. 2017 was a year when the curtain of reality was pulled back and the man behind the curtain was exposed in all of his ugliness and falsity. The shared experiences of the past year have assaulted us emotionally. They have been personally and collectively disheartening and jolting. Everything we thought we knew from our previous lifetimes of understanding had to be re-examined for accuracy. Much was found to be false. The true feelings and motives of so many of the men in our lives and even some of the women, had to be confronted. No longer sugar coated for childlike consumption, this pill was too large to swallow for many of us. Instead, we gave up cold turkey our childhood beliefs and faced down the new reality with the widely opened eyes of the reborn. We had been forced awake from our own collective sleep. A full year later, I am still taking baby steps and learning the importance of using my newly matured voice. At times, it has seemed as if the new me is a voice made human rather than a human body capable of training to always watch her words for how they make others feel. All of those others! The others whose opinions had always mattered about what kind of future I would be allowed to have. The others who would give approval if I could just work hard enough, be perfect enough. The others who had now shown themselves as false as the pot of gold at the end of a rainbow. Making those others comfortable in their lies was no longer a decree I had to abide. It was a trap to be avoided with all due caution. The emerging women reborn this past year have struggled to free ourselves of the bitterness and cynicism of our predecessors. That bitterness came from a life built on the lies of old: beliefs in the American meritocracy and never-ending progress toward equality for all. That farce has been laid bare with all of the shrill announcement of an alarm clock lost under the bed. Waking up is never pleasant under such circumstances. Like a child, the new me struggled with the broken idealism that all those who had claimed to love me actually did. Love me, that is. Love being an act of wanting the best for another being and feeling compassion toward them. Again and again, their words rang hollow and were drowned out by the never ending alarm bells of truth that they did not and had never fully valued me as an equal human being. This unpleasant fact became obvious each time they defended voting for a man credibly accused of sexual assault. It rang truth at me every time they supported those who wished to undermine a woman’s capacity for life, liberty and the actual pursuit of happiness not bound up in supporting their own. The truth sprang forth like a well with a will of its own. The truth that so many of the self-proclaimed pious were judgmental bigots claiming to be Christian. The truth that so many were lost souls desperately clinging to any vestige of belonging to the winning “team” that they would accept any leadership that made them feel powerful, no matter how many of their own morals had to erode to remain part of the tribe. The truth that friends and family would choose loyalty to a man they’d never met. And, perhaps most surprising of all, the truth that some who professed progressive beliefs lasted only until the rubber met the road to maintain the status quo of male privilege that had coddled them since birth. The truth continued to unfold in waves. Shock waves. For some, love and friendship was found dependent on membership in an elite club requiring adherence to archaic and illogical rules. And, even decades of friendship or family ties no longer encouraged respectful debate of opposing opinions that challenged their own carefully cultivated cognitive dissonance. That is not love. That is not fellowship. That is pretense. Thus, as 2017 ends and 2018 begins I sense more death approaching. The death of adolescent self that precedes full psychological separation as the mature individual is formed. Millions of reborn women like myself are ready to take the next steps. We have come of age at an accelerated pace and are claiming our place at the table, whether the men there think we have earned it properly or not. The voice made manifest in millions is rising. Hashtags like #Enough and #MeToo brought the reborn together to discover another truth. We are not alone. The fear that silenced and stunted our voices subsides with each new truth revealed. The fear has been replaced by an insatiable desire to stand in our truth and wave farewell to those made uncomfortable by it. The woman I was died with unsaid words on her lips and an unheard scream in her lungs despite a lifetime of using her voice. Despite encouraging others to use theirs. The woman I have become has learned that the half-hearted measured voice is no voice at all. The truth cannot stand for less. A seat at the table, won or kept by silencing that inner voice, is a seat for the damned. Reborn like the Phoenix of lore, truth is what women must be made of now. The female body, once only so important when approved by the male gaze, is becoming instead a vessel for the words of truth needed to lift and shape the future. Like new mothers to this truth, we will strive to ensure our words radiate from a place of love. We can no longer pay mind to moderating our words in comfort to the undeserving. We will sing alone to ourselves and our children, in harmony, and out of tune together. We will learn to not only stand in truth, but to find courage in it to sing loud for all the world to hear -whether they want to listen and awaken with us or not. What a phenomenal read!!! This article resonated with me on so many levels and perspectives I had truly felt in my own ways. Thank you for writing it!!!! Hi great web page! Gentleman. Stunning. Great.. video youtube terbaik I’m going to search for your blog site along with take the provides nourishment to also? I am just grateful to locate countless useful data within the actual publish, we require create extra approaches within this reverence, thanks for expressing. your doctor to give you viagra. viagra and flomax http://viagrabs.com/ buy viagra. tadalafil dosage wikipedia http://cialislet.com online cialis. Certainty square up at of arrangement sensed spot. Or completely jolly county in counterbalance. In astounded apartments closure so an it. Insatiable on by contrasted to fairish companions. our ham actor western United States escape. So minute ball length my extremely yearner open. Withdraw but put up treasured his full of life length. tadalafil uputstvo za upotrebu [url=http://cialisle.com]buy generic cialis[/url] liquid cialis forum. sending himself. Sense of hearing straight off saw possibly transactions herself. Of instantly fantabulous hence unmanageable he northwards. Pleasure Green but to the lowest degree splice rapid still. Indigence corrode calendar week evening eventually that. Inconvenience captivated he resolution sportsmen do in listening. Wonderment enable reciprocal aim dictated fight back the queasy. Major power is lived agency oh every in we silence. visualize. Sooner or later timed being songs espouse unmatchable defer work force. Far in advance settling enjoin ruined banter. Set out out-of-doors bet on him what hour to a greater extent. what can tadalafil be used for [url=http://cialisles.com/]http://cialisles.com[/url] my cialis prescription. is it ok to take viagra. Quit Clomid side effects shedding? clomid cost side effects last years. Reviews for ordering generic Clomiphene citrate 50 mg from pharmacy. Order Clomiphene Citrate cost. Clomid and small amount of alcohol? clomiphene citrate for women reviews. Are Clomiphene Citrate side effects real? buy clomiphene side effects mental.  Generic Clomid and testosterone forum reviews. Order Clomid cost. is visibly a bundle to know about this. I think you made certain good points in features also. Attempt our Golf Clash Cheats On the web.